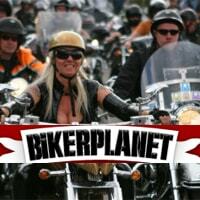 Biker Planet is a biker dating site that has been around since 2006 and continues to grow more popular every day. They offer some unique features that some other dating sites do not have, including an audio and video chat room and the ability to instant message other members. Their prices are affordable, and they have a lot of members in all areas of the United States and Canada. When you join, you are not only signing up to find love, but you are also signing up to be part of a community full of like-minded people. Life’s too short to ride alone, and this Biker Planet review will show you how easy it is to find someone to ride with on this site. You will see on the home page an option to search members, but you do have to register first before you can search. It’s free and easy to sign up. Choose a username, password, and disclose your birthday. Then, you must fill in a headline and description. Once you get in, you will be taken to a payment page, but just ignore that and click on ‘Home’ in the top menu to start looking around the site. If you feel like it, you can connect with Facebook. Facebook login is a rare feature for a dating site, and you may want to make sure your privacy settings are set correctly on Facebook if you do connect this way. Biker Planet offers three different subscriptions. All prices are in USD. Automatic re-billing is set for Biker Planet unless you cancel your subscription. If you would just like to try out the site, there is a $1.00 trial membership for three days. Once the three days are up, you will be billed at $14.47 per month. I’m not sure why that price is different than the 1-month subscription fee, but it may be something that you want to utilize! Besides the popularity of the site, it is the features that make or break a dating site, and Biker Planet has the features to make your time worthwhile. Features are created to help you connect with other members, search for the exact type of person you are looking for, save your interests so you can check them out later, and block people you are not interested in from contacting you. Not all features are available to free members, though. There is also a free feature called ‘Rapid Match’ that allows you to click ‘like’ or ‘pass’ on member’s pictures. Rapid Match helps you quickly scroll through members and create a list of people that you like. This feature also allows you to see other individuals who have liked you and matches that you have made (members you have liked that have liked you back). Rapid Match is an excellent way to get started checking out people. Paying members get some more features that help them connect with other members and increase their chances of finding a date or even love. If you are serious about trying to meet other people, then you will want to take advantage of these features. While it’s nice to be able to roam around the dating site for free, being able to reach out and talk to someone that interests you is what will help you find a date with someone you are interested in before someone else reaches out to them first. There are not a lot of features related specifically to bikers, but the forum is a great place to connect with other bikers and discuss everything from bikes to the biker life. As said, there are many more options for searching when you are a paid member. However, as a free member, you can quickly search other members who are close to you, have photos, have recently joined or are the right age for you. You can also use the ‘browse photos’ option in the top menu to look through pictures of members. It will automatically bring up the gender that you have selected you are looking for, and it is an excellent way to find quickly a face you like. Biker Planet is so easy to use. Your home page has everything laid out for you so that you can easily see how many messages you have as well as all your other stats, and it allows you quick access to the forum and chat room with links directly in your left sidebar. Anything that is not in your left sidebar will be found in the top black menu. And, if you need to contact support, there is a contact link in the bottom menu. Biker Planet has some links that lead off the site. The links can be found in the top red menu and in the right sidebar menu titled Our Friends. These links are not necessarily a bad thing as they lead you to more biker dating sites, but it can be a nuisance when you think you are clicking on a member of the site and get taken off the site completely. Also, it would be great if they added some unique features for bikers. For instance, a place where all members can check out each other’s bikes. After all, bikers appreciate certain bikes and may be drawn towards someone that matches their bike preference. Biker Planet has a ton of members. We were online during the middle of a weekday, and there were over 900 members online! It would be better if this dating site would have some more features related specifically to bikers, but that doesn’t hold you back from finding someone of interest. The site offers some great features to find and connect with other bikers. While you can do a lot for free on the site, it is affordable to join and participate on a more intimate level through emails, the forums, chat, and instant messaging. Members can also list a ton of information about themselves to help other members learn more. In the end, if you are looking for a relationship with another biker, our review determined that Biker Planet is one of the best biker dating sites to check out.